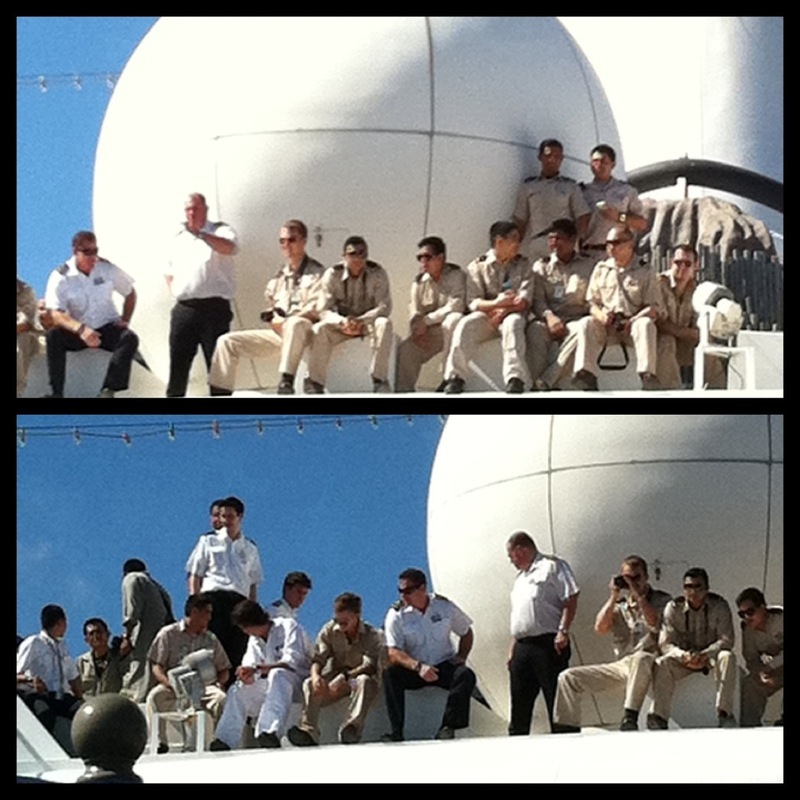 Crossing the Equator at Sea…early this morning we sailed right past the Equator’s line into the southern Hemisphere! 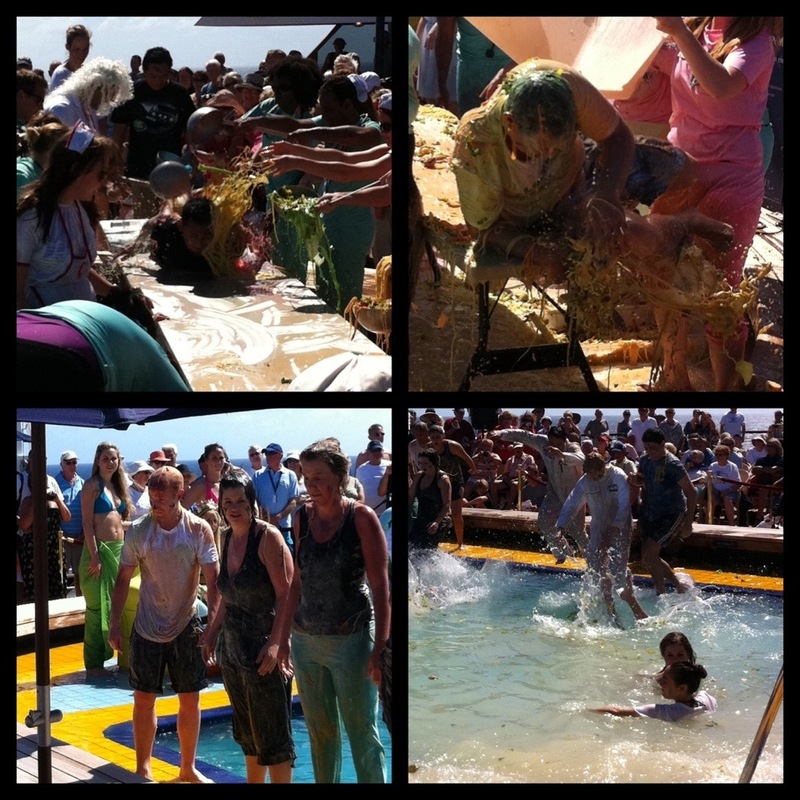 Crossing this line is commemorated by an age old tradition known as the King Neptune Ceremony. This initiation rite originally celebrated by the Dutch Merchant Navy was meant to boost morale on long ocean voyages and mark a sailors first crossing of the Equator. Pollywogs are the sailors new to the equator crossing and Shellbacks are the experienced ones. This is not a silly cruise ship gimmick, but a sailing tradition performed by even the U.S. Navy and U.S. Coast Guard, as well as passenger cruise ships! 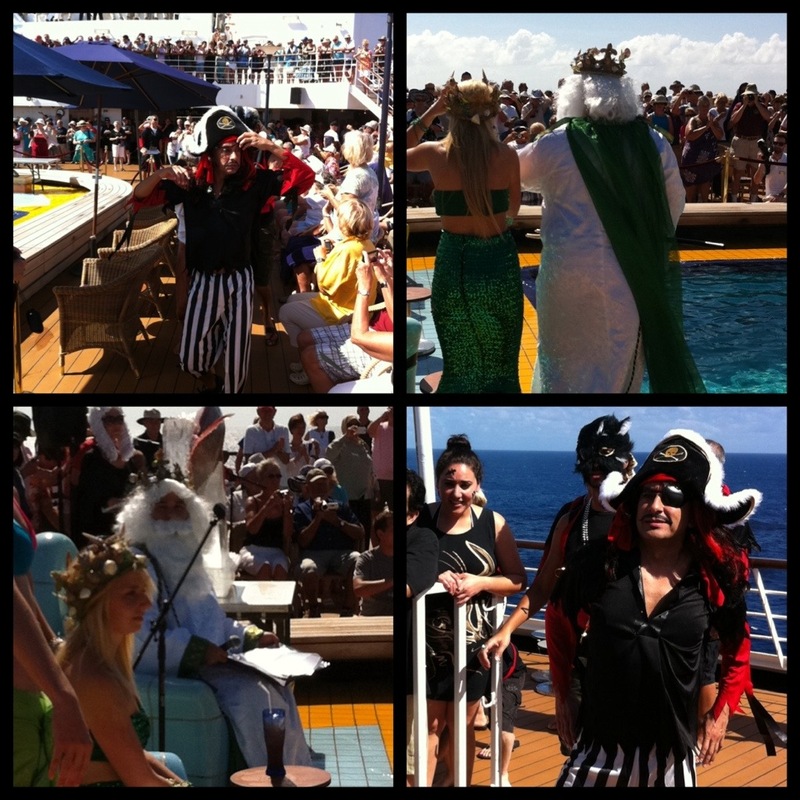 King Neptune presides over the festivities with pirates, mermaids, sea urchins, you name it! Historically these ships were all male vessels, so men were dressed up as women for the ceremony…nothing like a sailor in drag! 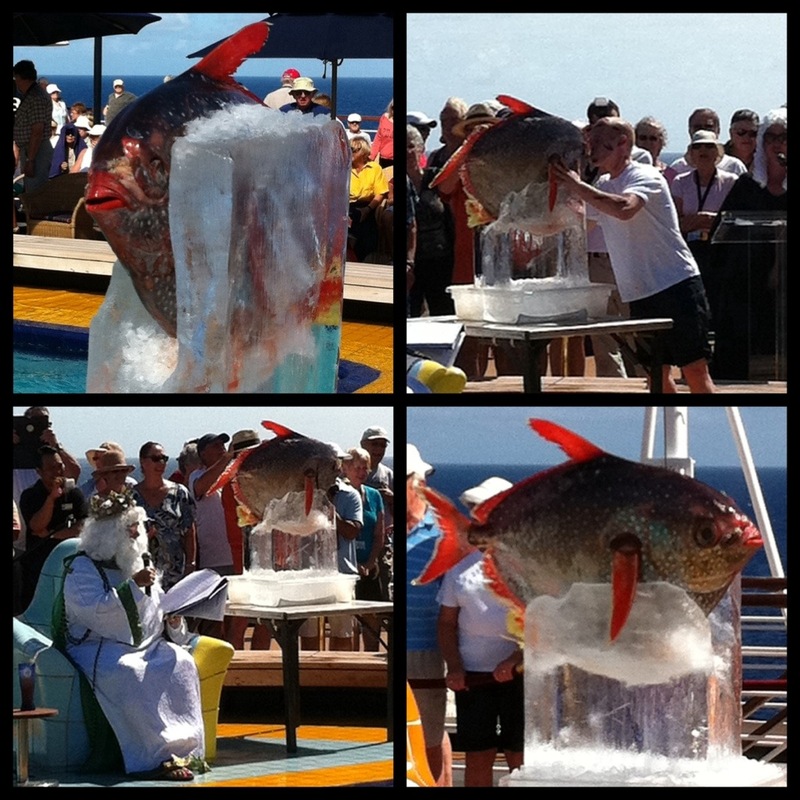 The idea is to embarrass the virgin sailors and put them through some form of public torture…kissing a smelly fish, being locked up in a cage, abused and soiled with spoiled food, and being dunked in water or left to bake in the hot sun. Held under an extremely brutal equatorial sun on the open deck, it’s a lot of fun but also serious sea faring tradition for the normally superstitious officers and sailors! Luckily for me, I could participate as an onlooker escaping the messy torture…but I woulda gladly done a little drag for the cause if needed! The oceans hold many age old myths and centuries old tales…what fun being initiated into this special club of those who have “crossed the line”! « Older Post Nautical Family History	» Newer Post Thoughts on Legacy! This was what I meant on the fb page BEFORE I read this…duh!